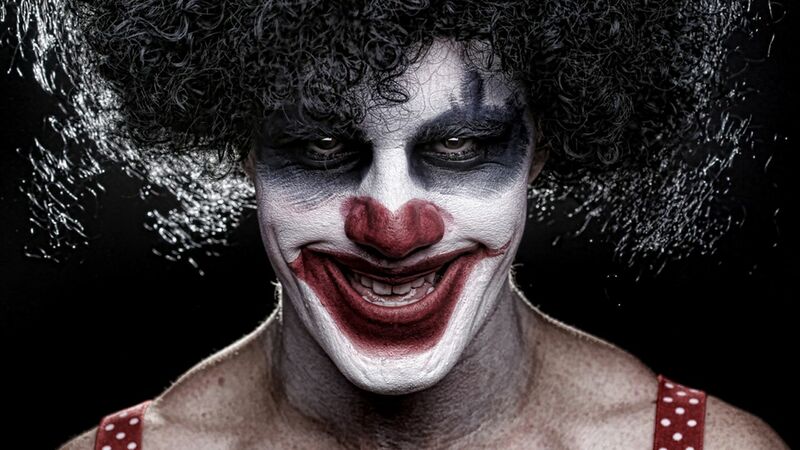 TOMS RIVER, New Jersey (WABC) -- Reports of "creepy clown sightings" have prompted stepped-up security at all schools in one New Jersey district. The Toms River Police Department said officers have been directed to "have a high presence" at all of the schools in the town, in order to "provide an extra layer of security." The department offered some background into the clown sightings. As some of you may be aware there is a story circulating around the nation regarding "creepy clown sightings." The initial reports seem to stem from an organized movie promotion and have now morphed into copycat reports throughout New Jersey. The recent social media posts and threats to schools seem to originate from outside of New Jersey. Facebook shares and retweets have brought these concerns to New Jersey. Toms River police said the department is working with school leaders on additional security measures. "(The school district) will continue to use their universal safety precautions including that of prohibiting unauthorized visitors, and immediately will contact law enforcement when warranted," police said in a news release. The police department is also asking that no one from the public contact them about the clowns. "At this juncture any rumors regarding early dismissals or lockdowns are not accurate. Please do not call the police department or schools to discuss this matter. We will take appropriate action to notify parents and the community if we determine that the situation has changed.